Welcome to Road Test … Iain Shankland’s nitty-gritty, down-to-earth automotive review column. Iain’s goal as an automotive journalist is to provide you, the consumer, with the best information possible so that you can make an educated decision as you set out to make one of life’s bigger sticker purchases. Through his reviews, Iain reports on the important bits – like those little annoyances you may not have noticed on your 10-minute test drive, or those hidden gems that you just can’t or shouldn’t live without. Not only that, but Iain throws caution to the wind and takes his automotive journalism off-road! …. Well, not “off-road-ing”… but off the city streets and onto the local airstrip! It’s a ‘tough job’ … but someone had to do it! Iain’s thrilled to be “living the dream” and has logged quite a few test miles – maybe his advice will help you decide on your next vehicle! We hope you enjoy Iain’s open and honest opinions, and we encourage you to contact Iain if ever you need a little personalized advice – he’s always happy to help! After entering a photo contest in 1996, one of Iain’s pictures of his beloved pet was published on the cover of Dogs in Canada magazine – January 1997 edition. Over the next few years, Iain contributed several articles on road safety, which were printed in the local newspaper (The Hamilton Spectator 300,000+ daily print). Encouraged by his successes, Iain joined American Image Press, an outlet for freelance photographers, and publisher of Today’s Photographer magazine. Having AIP as a media backing, he began covering concerts and auto shows. Iain began dabbling in Motorsport Photography in the year 2000, at which time he became an accredited photographer covering the Molson Indy Toronto events. Gail further encouraged Iain to expand his vision and helped him pursue the publication of his work. Since that time, Iain has been a contributing photographer to websites such as Flagworld.com, ChampCarRacing.com, FastMachines.com, Automobilsport.com and PaddockTalk.com. Iain is very proud to have a selection of his work published on individual driver’s websites including Carpentier.ca, Sebastien-Bourdais.com, PaulTracy.com and AndreasWirth.com. Iain began working with the popular motorsport news site, PaddockTalk.com in January of 2005. Since then, he’s been a contributing photographer and motorsport journalist and has assembled a team of very talented individuals to keep the PaddockTalk readership up-to-date with the latest in trackside imagery in his capacity of Photo Editor. Iain’s objective as Photo Editor is to gather an elite group of photographers to provide PaddockTalk and it’s viewers with exclusive Motorsport images. Due to the success and volume of “Road Test” features in Paddock Talk’s “Auto News Extra!” it was determined that Iain’s feature automotive articles merited their own edition. In September 2006 Paddock Talk launched a very special “Extra!” to showcase Iain’s work called “Road Test Extra!” This new feature will help readers locate reviews more easily as they research vehicles for their next purchase or lease. After 5 years with PaddockTalk.com Iain decided it was time for some new challenges. 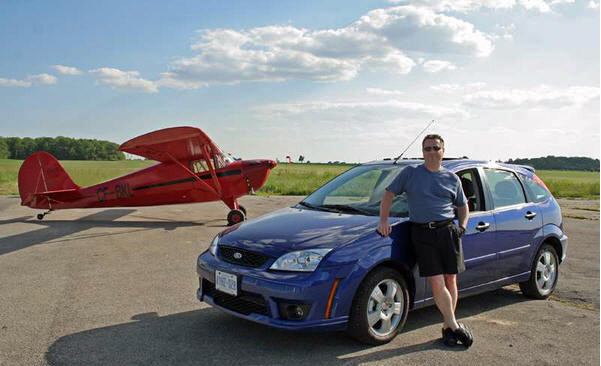 In 2010 he contributed his automotive reviews to Automobilsport.com of Luxembourg and he is currently partnering once again with some old friends at Flagworld.com of Canada. Watch also for some spectacular photography on Flagworld.com where Iain’s talented photography team – now called MPH – Motorsport Photography Hub – will be contributing pics from track-side. They bring with them the experience and dedication that changed PaddockTalk.com from a casual, fan-based gallery into a major news and photographic outlet in less than five years.